This Ashford in in building 3, the newest building. 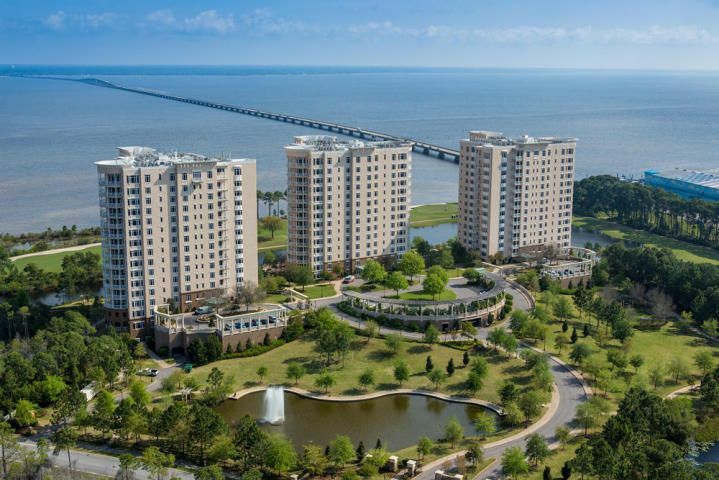 It offers spectacular north views of the Choctawhatchee Bay, east, and glimpses south to the Gulf. OWP also overlooks Kelly Plantation Golf Course, Freddy Couples 'masterpiece on the bay'. This plan Has a great balcony and the best second bedroom of any plan. OWP has more amenities than any condo in Destin: a 5,000 sf fitness center with a spa that has steam rooms, saunas, and whirlpools. It has great formal ballroom, and an informal sports bar loaded with tv's and a pool table, guest suites, wine cellars a theater room, game room, conservatory, dog park, a heated pool, and more. It is within Kelly Plantation's 900 acres offers great clay tennis courts and more. LIVING AREA 2505 Sq Ft. Enter Kelly Plantation from Mid Bay road. OWP will be on your right.Enter the main gate on Kelly Plantation Drive from hwy 98. Follow Kelly Plantation around past the golf course. OWP will be on your left.